Located near Dorabjee’s supermarket, the K Studio is a boutique shop that sources the trendiest outfits. 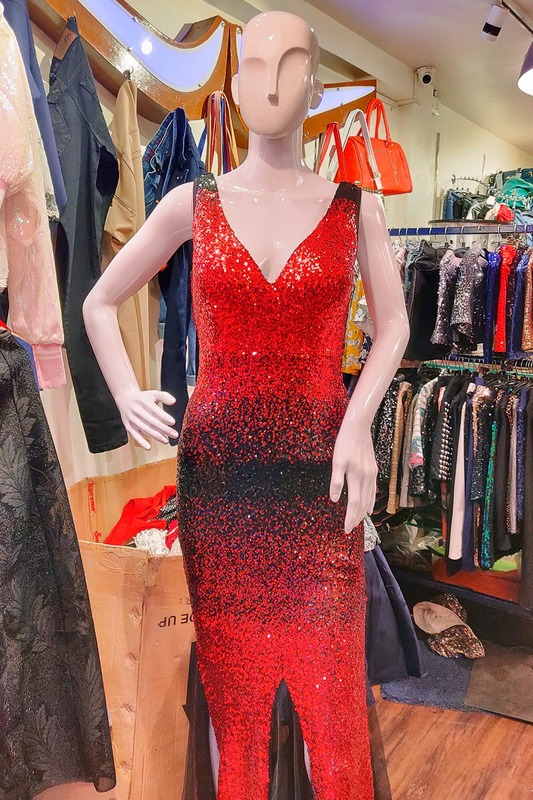 You’ll find everything from dresses, jumpsuits, skirts in various lengths and a lot more at this store. Shopping around Camp is always fun. There are an array of options you could choose from. The K Studio changes its collection as per season and trends. So right now, you’ll still find a lot of partywear, but soon you’ll have more stuff for the winter and other casuals you could wear to college. And, semi-formal wear for work. We loved that they had sets, which means you don’t have to rack your brains on how to style a skirt or top you bought. We loved a black skirt and strappy top with sequence work. It would make for a great party number or you could wear it to a club too. Both skirt and top were priced at INR 2,250 each, but as it’s the end of the season there’s a discount. So, you’ll get each of them at INR 1,800. And, another orange mini skirt and crop top set too. Our next pick was a baby pink felt dress for INR 2,000. It had a lacey cape and would look pretty for a day event or for a date too! We also found a striped blue and white off-shoulder casual dress for INR 1,500 and a white dress with cutwork on the shoulder for INR 1,800. The store stocks up on a lovely selection of gowns and jumpsuits that you could buy for more formal events too. We saw everything from heavily glitter and sequin dresses to more elegant gowns that we’d love to wear for our best friend’s wedding cocktail party. We’d want them to stock up on more casual tops and blouses too. We’d love to see a few casual dresses too, because soon, we’re going to be shopping for summer, no? They have an end-of-the season clearance sale on, right now and are offering upto 60 per cent off on all items. So, buy a dress or two for later!